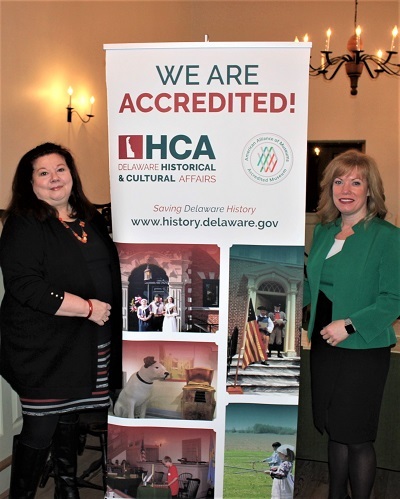 (DOVER, Del.—March 22, 2018)—State Sen. Nicole Poore recently visited the New Castle Court House Museum, located at 211 Delaware St. in New Castle, to celebrate the accreditation of the museum system of the State of Delaware by the American Alliance of Museums, the highest recognition afforded to museums in the United States. Administered by the Division of Historical and Cultural Affairs, the system includes five state museums, over 40 historic properties and the state’s archaeological and historic-objects collections. State Sen. Nicole Poore (right) visits the New Castle Court House Museum in celebration of the Division of Historical and Cultural Affairs’ accreditation by the American Alliance of Museums. At left is the museum’s site supervisor Cindy Snyder. Developed and sustained by museum professionals for over 45 years, the alliance’s accreditation program is the field’s primary vehicle for quality assurance, self-regulation and public accountability. It strengthens the museum profession by promoting practices that enable leaders to make informed decisions, allocate resources wisely and remain financially and ethically accountable in order to provide the best possible service to the public. Constructed in 1732, the New Castle Court House is one of the oldest active court buildings in the United States and was Delaware’s first state capitol. Here, the Colonial Assembly passed the 1776 Separation Resolution creating the Delaware State. 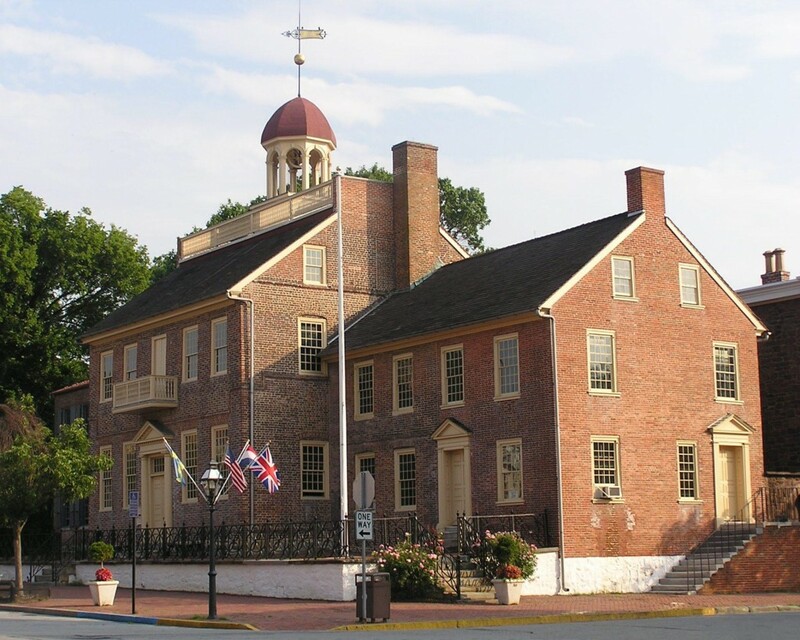 During its nearly 300 years of history, this landmark has played many pivotal roles in the political, social and commercial life of both New Castle and Delaware. The museum is a partner site in the First State National Historical Park. The museum is open for visitation and tours from Tuesday to Saturday, 10 a.m. to 4:30 p.m., and Sunday from 1:30 to 4:30 p.m. Admission is free and open to the public. Go to the following for a comprehensive, long-term calendar of division-sponsored events. For additional information, call 302-323-4453.